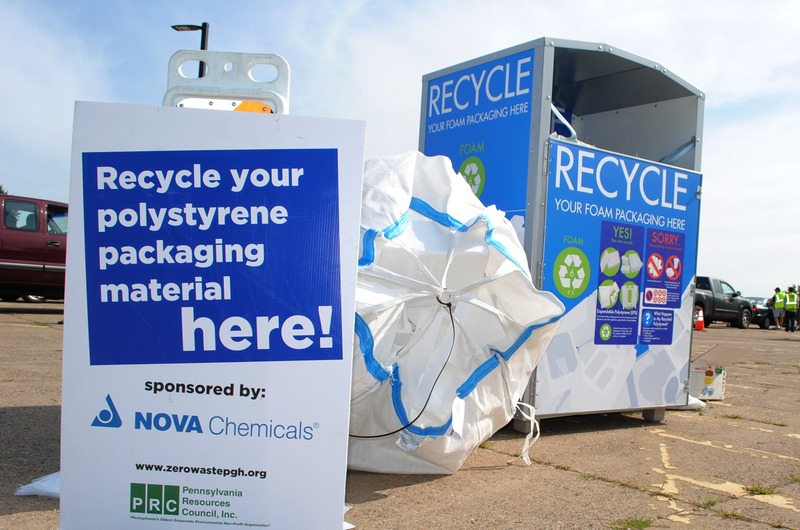 PRC is proud to offer a number of Hard to Recycle Collection Events throughout Allegheny County to help local residents responsibly recycle materials that are not accepted into local recycling programs. Over the last 16 years, PRC has worked hard to expand this list to take as many different materials as possible to ensure that it is responsibly recycled instead of placed into the trash or illegally dumped. Each of these products have different processes to be recycled into new products. In this Hard-to-Recycle Materials Series, we will be taking a closer look at what happens to the products that you bring to our recycling collection events! 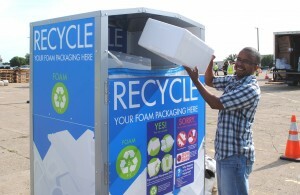 The first in this series is Expanded Polystyrene Foam! 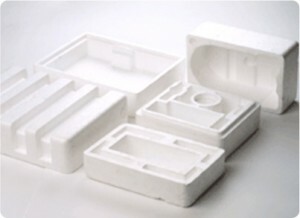 Expanded polystyrene foam (EPS) is a lightweight packaging material. Common items that are made from EPS include the many food containers, packaging peanuts, and packaging foam blocks. It can easily be identified by looking for the #6 recycling symbol. EPS starts as regular polystyrene plastic with a blowing agent that is then expanded with steam into a material that is both protective and lightweight, making it a common choice for packaging. While EPS comes in many forms, we only accept the large packaging blocks, such as the ones featured above, at our Hard-to-Recycle events. We accept them free of charge for recycling, through our partnership with NOVA Chemicals and Appliance Warehouse. EPS foam blocks that are collected at our Hard-to-Recycle Events are recycled to make new products like picture frames and clothes hangers. Appliance Warehouse will process the collected foam to turn loose pieces of foam into blocks of compressed material, using a piece of equipment called a densifyer. The material is chemically unaltered, but becomes denser and therefore easier and more economical to ship. Below is an example of the compressed material. Next, a recycler will take these blocks and reprocess them into plastic pellets that can be used to make new items. Other Places to Take It? If you can’t make it to one of our Hard-to-Recycle Collection Events, you can take your EPS material to any of the drop off locations below or use this site to find a location near you. Marshall Rd & Jackson Ave.